Buy Buy Baby is a retail chain that sells a wide variety of items for babies and young children. The subsidiary is headquartered in Union, New Jersey, United States, and is by the publicly traded corporation Bed Bath & Beyond. Exclusions: International, Alaska, Hawaii, Puerto Rico or Business Direct orders. Details: Get Free Standard Shipping on orders over $29. Truck delivery and shipping surcharges on over-sized or extremely heavy items will still apply. Exclusions: International, Alaska, Hawaii, Puerto Rico or Business Direct orders. Details: Get Free Standard Shipping on orders over $29. Truck delivery and shipping surcharges on over-sized or extremely heavy items will still apply. Buy Buy Baby currently has 90 retail outlets across the United States, each which ranges from 28,000 to 60,000 square feet with over 20,000 products. They provide home delivery, gift registry, furniture delivery, private feeding rooms, complimentary gift boxes and wrappings. The business was founded by Richard and Jeffrey Feinstein in 1996 and had grown to 8 stores when Bed Bath & Beyond acquired it in 2007. 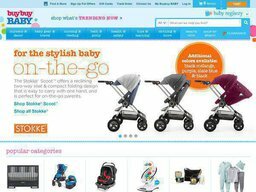 The online store at buybuybaby.com has been accepting orders since 1999 and is now a key generator of sales. You can make savings on your purchases from the site by using one of our Buy Buy Baby coupons during the checkout process. Buy Buy Baby stocks over 20,000 items, all of which can be purchased from the online store. The site's categories are organized by Baby Clothes, Toys (including educational), Healthy & Safety items, Travel Gear, Furniture & Decor for the baby's room, Nursing & Feeding, Potty Training, and much more. They also have a catalog of items that are for their special order merchandise in addition to their store inventory. Only the top brands are represented at their stores such as Bassett Baby, Baby Appleseed, Dutaillier, Bonavita, Sorelle, Simmons Kids, Westwood Designs and many more. 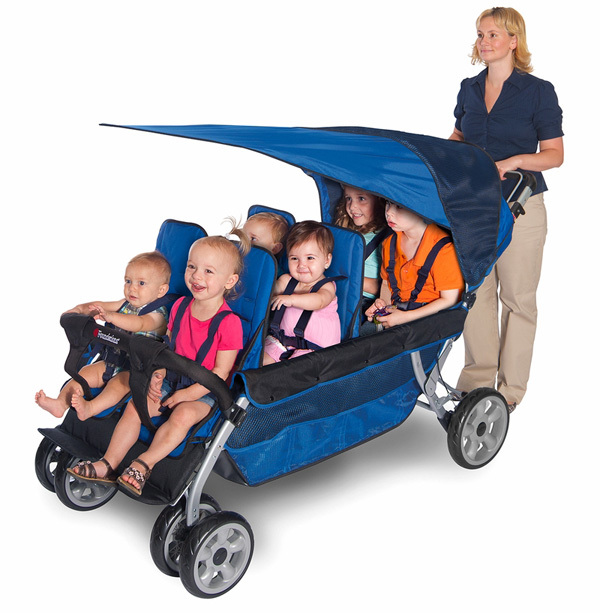 Popular items include booster seats, car seats, highchairs, strollers, swings, pack n plays, bouncers, formula, wipes, lotions, diapers, and nursing and health items. You can apply one of our Buy Buy Baby coupon codes to make savings in any of these categories. Buy Buy Baby accepts payment in the form of credit card, including Visa, Mastercard, American Express, and Discover, and Paypal. You can also use their branded gift cards for all or part of your order. If redeeming a Buy Buy Baby coupon, all you have to do is paste the code in to the promo box just before payment. Shipping options are both national and worldwide. BuyBuyBaby.com will automatically update the site for many countries, allowing you to browse in your native language, and with all prices displayed in your local currency. This makes checking out very easy. They do ship to over 100 countries and other territories globally. Their website details these options. Shipping is done by parcel, USPS, FedEx, and UPS. Large item orders are delivered by truck and can't be shipped to Alaska, US Territories, Hawaii, APO/FPO, or internationally. The cost of shipping varies depending on the value of your order and its destination. Within the continental US states the least you will pay us $5.99 for standard shipping on orders below $25. The most you'll pay is $149.99 for Express delivery on orders over $750. Returns are easily handled with or without receipt. If you've an item dated within the last 90 days, and it's in new condition, it will need to be returned with the original packaging for a full refund or store merchandise credit for the full price. Shipping and delivery charges, however, are non-refundable, unless you received the order in a damaged or defective condition. For returns within the last 90 days without a receipt, and the items are in new condition with original packaging, you'll receive a store merchandise credit rather than a proper refund.. There has been an update to their return without receipt policy that goes into effect on April 20, 2015. If one doesn't have a receipt for a purchase that was made during the last 365 days, the company can look up the purchase via your credit card, gift card that was used to make said purchase. If a purchase can't be found, the company will exchange or provide a merchandise credit for the current selling price of the item, less 20%. This applies for additional discounts as well as coupons that might have been applied.